Two week family holiday including some of the best family friendly lodges in South Africa. Experience the buzz and culture of Cape Town, whale watching at Grootbos Lodge, malaria free* safari in Madikwe and an all round safari bush experience at Ants Nest. From Cape Town it is a short but spectacular 2 hour drive to the Whale Coast where from June to November, Southern Right whales congregate in the shallow waters off Walker Bay. 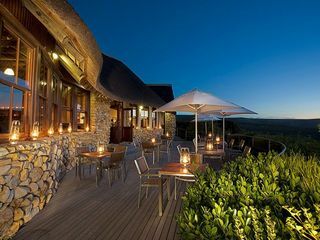 Your base here is Grootbos Lodge, once named as the best family friendly lodge in the world and not without merit. A stunning setting, superb guides, loads of activities thrown in (including horse riding, trips down to the beach and open topped drives through the reserve), a lovely swimming pool and a superbly equipped games room combine to make Grootbos a fantastic option for families. In Cape Town, you’ll enjoy our trademark Cape Town family experience, combining a cycle tour of the V&A Waterfront, guided Table Mountain hike, and private guided tour out to see the penguins at Boulders Beach and Cape Point. Fly from Cape Town to Johannesburg and transfer by road to Madikwe Private Game Reserve. 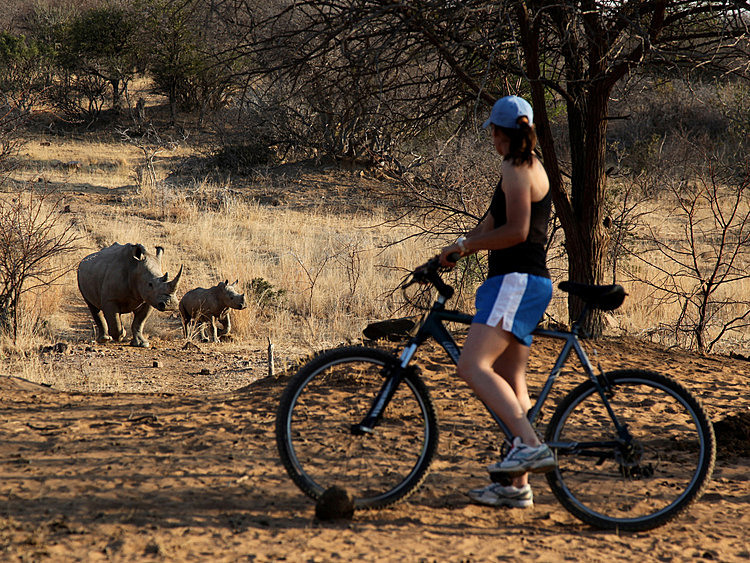 Madikwe is renowned for offering one of the best malaria-free* safaris in Africa, with bags of African bush feel and the big five present. Early morning and afternoon game drives are included and for under 6s there are shorter soft safari game drives, art activities and guided walks around camp. As meals are usually later and communal, earlier dinners are arranged for families with younger children and babysitting is available. The Ant’s Collection is a superb way to end the trip. Don't let the lack of the big predators put you off as this is what makes this place special. Without the predators to worry about, families can enjoy bush walks and superb horse riding in a beautiful and pristine African bush setting. Beginner and experienced riders are catered for, obviously with the rides & horses pitched to the level of your family. The lodge itself has stunning views, a lovely atmosphere and with the pool, trampoline, sand pit, badminton and volley ball nets it is a superb base for down time between activities. * Although it is impossible to classify any location as 100% malaria free, Madikwe has been classified as low to no risk of malaria. See here for more information. Grootbos is a superb wilderness eco-lodge set in pristine Fynbos overlooking the Western Cape’s majestic Whale Coast. Whilst comfort and service is second to none, the big draw at Grootbos is the small things. The plants and flowers of the Fynbos, the wild coastal and mountain scenery and, of course, the passionate wildlife guides who more than anything, make this place special. From June to November, this is a prime southern right whale watching location, but it is well worth a visit any time of the year. Pretty much all guided activities are included at Grootbos. 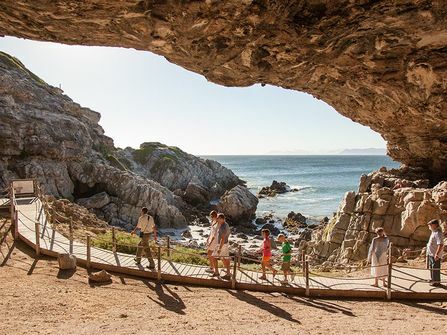 Whilst there are some fantastic children's activities put on, we think most families will prefer to stick together enjoy the grown up guided activities such as the horse riding, guided walks and 4WD tours on the reserve and visits to the wild Coast in Walker Bay Nature Reserve. The standard of guiding at Grootbos is second to none. Horse riding is suitable for beginners and riders of all abilities. There is no better place to get a sense of Cape Town than from atop Table mountain amidst the lush Fynbos, indigenous to the region. Most tourists venture no more than 5 minutes from the Cableway, however we recommend getting away from the crowds on a gentle guided walk. Today, your mountain guide will meet you at your hotel and drive you to the Cableway station where you will head up Table Mountain in the aerial cableway. Once on top you can get away from the crowds on a gentle circular walk on the plateau to Maclears Beacon, the highest point on Table Mountain. The trail passes stunning viewpoints and marsh and Fynbos bush. It is around a 2 hour walk in total. For more adventurous and older families, we will arrange a more challenging trek climbing the Mountain via Skeleton Gorge or from the Twelve Apostles (around 6hours) and taking the Cableway down. Private guided tour on the Cape Point route, one of the most magnificent drives in the world. Along the way you can stop at Boulders Beach and swim with the penguins, before continuing down to the wild and windy Cape Point itself. If you have time on the way back, we recommend stopping at Olifantsbos Beach, a wild and windswept sandy and rocky beach with several well marked walking trails. This is a good location for spotting Eland, Bontebok and Zebra which tend to congregate in this area. If time permits, you may have chance to stop at the manicured Kirstenbosch Gardens at the foot of the mountain. Early morning rise for your first safari drive in open 4x4 vehicle with guide and tracker traversing this 75000 hectare reserve in search of big five, wild dog, cheetah, plains game and over 350 birdlife species. Your Shangaan tracker is there to ensure nothing is missed with a front row seat to spot any spoor. 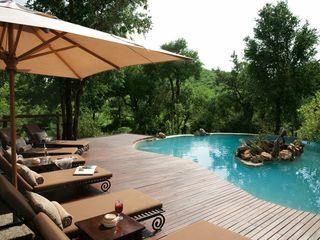 Return to the lodge for brunch and relax around the pool in the heat of the day. 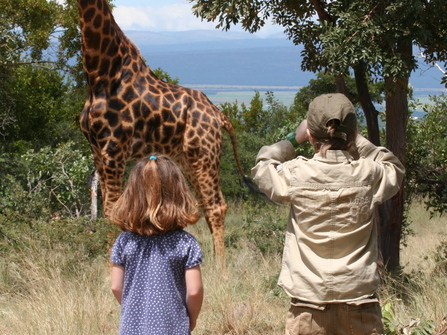 Each child will receive a safari pack with goodies and activities to keep them busy between safaris. There will also be some supervised including guided short walks around the property, making plaster casts of animal tracks, collecting seeds and leaves to make art with and shorter drives for those under 6 years who are unable to go on the longer drives. Gather again late afternoon for refreshments before heading out on the afternoon drive. Enjoy sundowner drinks and then return as night falls in search of some nocturnal creatures. Dinner is usually communal with night caps around the fire pit. Earlier dinners can be arranged for children and baby sitting on request. This morning after your game drive and breakfast, you will be collected from the lodge and transferred by road to Ants Nest Lodge. Arrive late afternoon with time to settle in and enjoy dinner at the lodge. Saving the best to last, safari at Ants is a very different experience. With no predators on this reserve (but plenty of Giraffe, Rhino, Zebra and other species) the reserve is perfect for exploring on foot or horseback, an experience that really brings the bush alive. Ants have superb stables with a herd of over 90 horses suitable for beginners and experienced riders. Activities are in safari style with early rise for your morning activity, return to lodge for brunch as it gets warmer, quiet time in the day, then gathering late afternoon for an activity and dinner. Back at the lodge, there are heated swimming pools, trampoline, sand pits, badminton, volley ball nets, toys and books for children. Today is a shorter drive back to Johannesburg Airport, enjoy breakfast and morning activity before your check out at 11am. Transport: Morning lodge activity and road transfer to Johannesburg Airport of 2 ½ hours. Only British Airways flies directly from London Heathrow into Cape Town and this is an excellent choice with good internal connections. South African Airways and Virgin have direct overnight flights from London Heathrow into Johannesburg, with frequent onward connections to Cape Town. Flights from £950-£1250 per person depending on season. In addition there are options via the Middle East or Europe which go into Cape Town and Johannesburg which may be marginally cheaper. We can also assist with flights from regional airports. Road transfers to / from Cape and Johannesburg Airport plus between the lodges, meals as specified, scheduled lodge activities at Grootbos Private Nature Reserve, Impodimo Game Lodge and Ants Nest. This itinerary is best for travel June to October when there is a good chance of seeing the whales coming into Walker Bay. Cape Town can be cold and wet this time of year as it is Southern African winter. But it is the best time for safari in the Northern Province as the weather is traditionally dry, with bright warm days and just cold overnight. 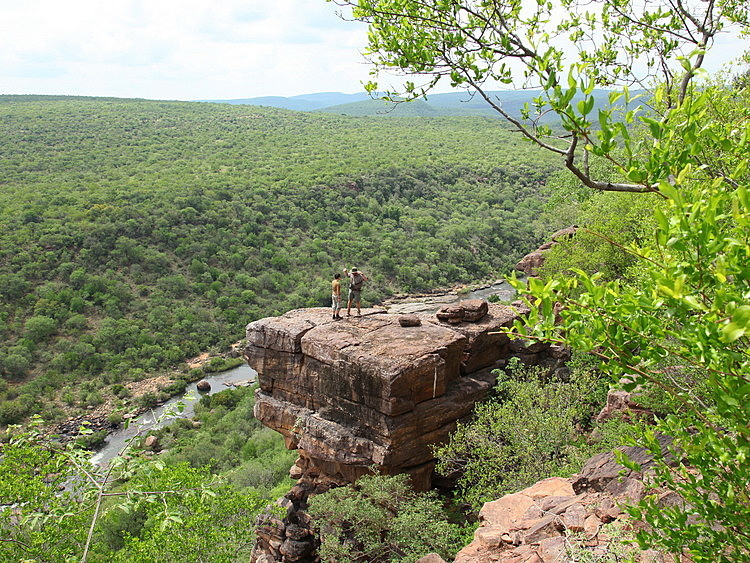 Safari is great as the bush is sparse and the wildlife is easy to see and they are drawn to waterholes. Cape Town is great for October to June with no rain, hot weather; fruit is all in season including grapes, selection of beach and lots to see and do. Should you wish to travel in those months, a non-malarial safari in the Eastern Cape at Amakhala or Shamwari or Kwandwe or Addo National Park is a much better choice with many excellent offerings for families.